China's unmanned Shenzhou-8 spacecraft is ready for launch. It's Long March 2F booster will be fueled today. 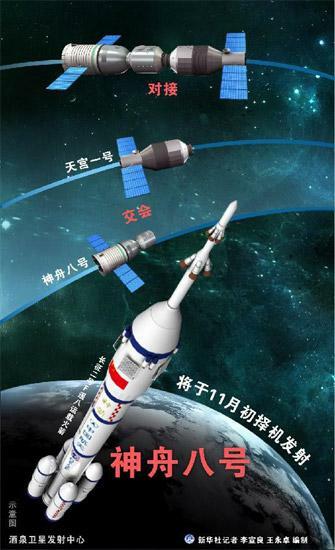 Shenzhou-8 will attempt China's first space docking with the orbiting Tiangong-1 module. The launch should be carried live on CCTV.